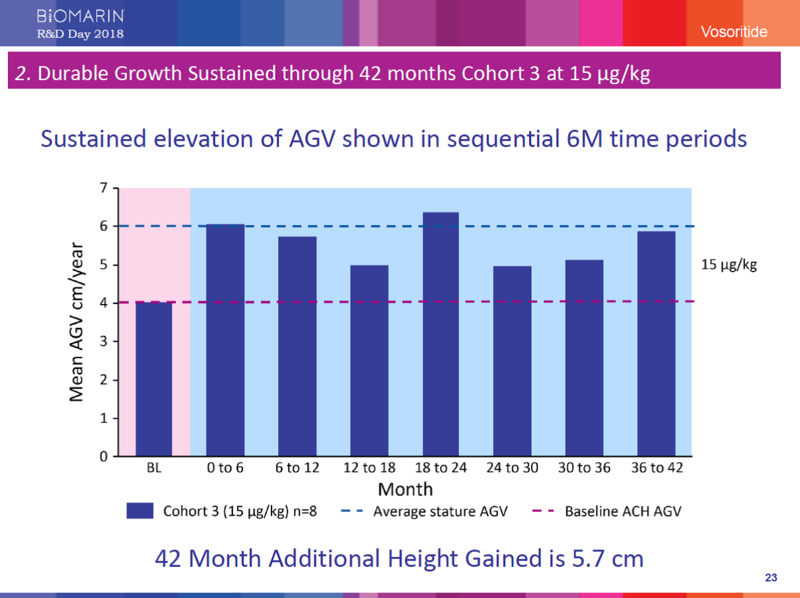 BioMarin provided an update on its clinical program for vosoritide, an analog of C-type Natriuretic Peptide (CNP), in children with achondroplasia, the most common form of disproportionate short stature in humans. 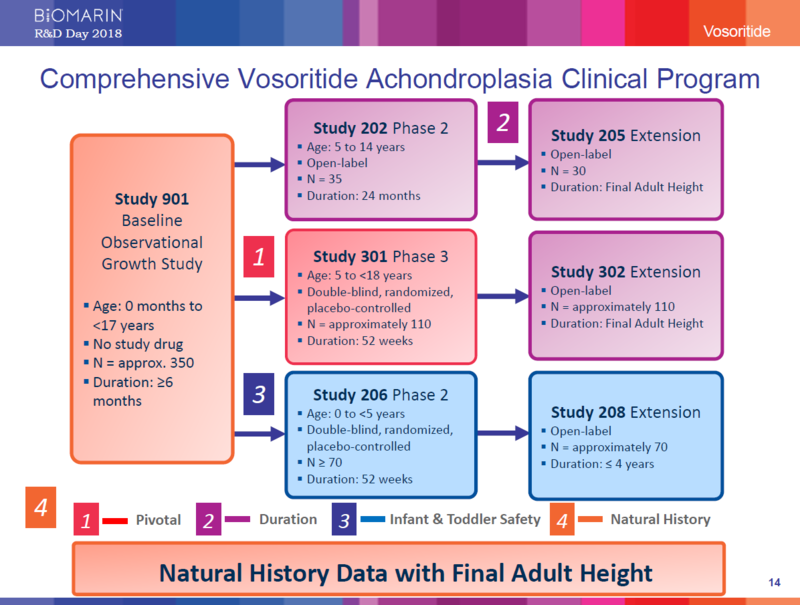 An ongoing open-label, Phase 2 study of vosoritide for achondroplasia demonstrated sustained increase in cumulative height gained over 42 months of treatment in children in cohort 3 at a dose of 15 µg/kg/day. The cohort gained a mean of 5.7 cm of cumulative height over what the participants’ baseline would have predicted. At 30 months, the same cohort experienced a 4 cm increase over what the participants’ baseline growth velocity would have predicted. 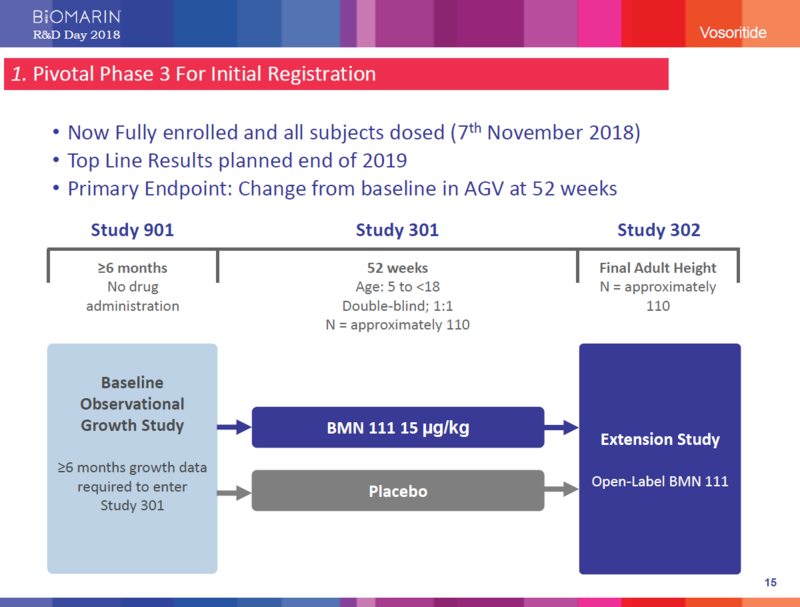 BioMarin announced today that the Phase 3 study of vosoritide in children is now fully enrolled and top line results are planned for the end of 2019. BioMarin has also initiated a global Phase 2 study in infants and young children up to age 5 with achondroplasia. In addition to clinical studies of vosoritide, in collaboration with the leading skeletal dysplasia centers in the United States (U.S.), BioMarin is conducting a multi-center, natural history study in 1,377 people with achondroplasia. This natural history study will make it possible to compare the final adult height of people treated with vosoritide in our clinical studies and those not treated. 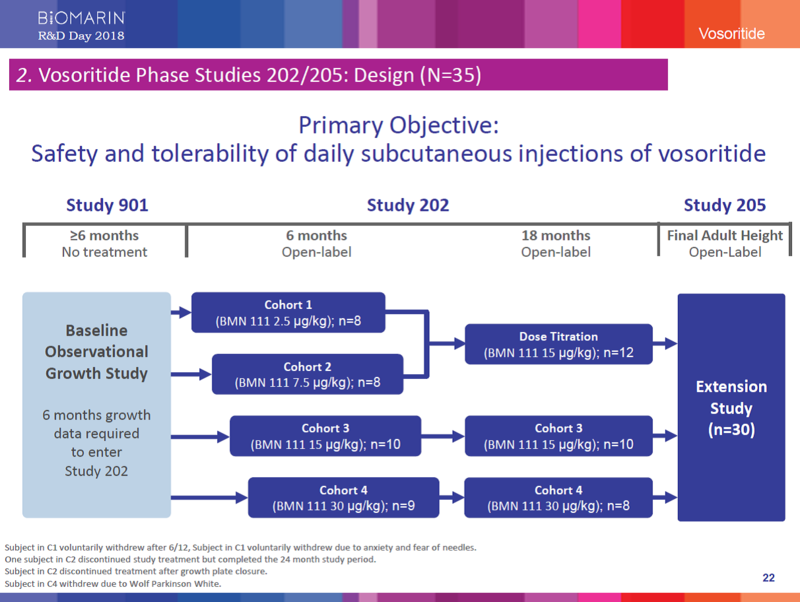 These data will support the assessment of efficacy of vosoritide. Vosoritide has been granted orphan drug designation in both the U.S. and Europe.